Siteline Architecture provides quality design, focused customer service and demonstrates responsibility to the communities we serve. Siteline’s years of experience of living and working in historic Nevada City and Grass Valley have produced prominent projects that satisfy design criteria, local ordinances, and neighborhood aesthetics. Your ultimate expression, Siteline’s architectural expertise. Siteline assists clients to realize their vision in the built environment. The ultimate design is an expression of those who will live, play, or work in and around the spaces Siteline Architecture creates. Siteline Architecture opened in June of 2002. The two partners, Andrew Pawlowski and Richard Baker, have a combined thirty-eight years experience working in the field of architecture and construction in and around Nevada County. Siteline’s team also includes a balance of project managers, construction experts, interior design consultants and journeymen draftsmen. Siteline principal and partner Andrew Pawlowski is a LEED accredited professional. Siteline has a keen understanding of the region’s unique environment and consistently works to merge the community vernacular with current construction practices for sustainability, green building and energy efficiency. Siteline assists owners and builders with site planning, understanding best potential development options and providing scope of plans as well as a number of pre-design services. The impact of proper site planning cannot be underestimated. Siteline works with owners, builders and commercial developers to plan sites for optimum use. This includes avoiding potential obstacles in later phases. Siteline can turn a loft into an apartment, an outdated kitchen into an asset or a garage into a commercial office. Consult with Siteline for early evaluation of your project’s potential. 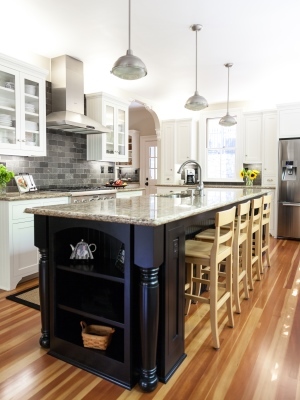 Building a new home, or remodeling an existing one is a significant investment. As an owner, you deserve real value for every dollar spent on design and permitting. Will the house be functional? Or will it just comply with the building codes? Will it look like the neighbor’s house, or will it express who you are, and what you value? Homes designed for the people who live in them. Custom home design, consulting, pre-design, site planning, remodels, interior design, art acquisition, finish and furniture selection and more: Siteline provides turnkey services to turn your vision into reality. Is my business in the right location for my customers? What are the zoning regulations for the property I’m considering? Could the layout of my building work better than it does? While you continue to grow your business, Siteline can work for you to build, remodel, or relocate the setting in which you serve your customers. Contact Siteline to discuss the skills and talents that we can bring to improve how and where you do your work. Commercial design services that are efficient and work with the community. Commercial architecture, pre-design, site design, space planning, permit and construction drawings, bidding services, value engineering and and energy efficiency consulting. See Siteline to consult on sustainability, LEED and energy savings in tenant improvement, design/build or commercial remodels. Architecture provides the bones, interiors flesh out the vision, adding finishes, details and the touches that transform an ordinary environment into an extraordinary space. Siteline brings interior design into the planning process as early as possible to enhance services and build enduring projects. Siteline Architecture unifies design for best practices. Including interior design in the planning process establishes a holistic, unified living or working space. Interior design services may include: thematic color plans, space planning, design detail specifications, finish and furniture selection, and art acquisition & coordination. The homes we design have good form because of our efforts in the studio, but at Siteline we respect that it’s the builder who provides the craftsmanship that makes them possible. Over the past five years, Siteline has worked with numerous general contractors to design and build projects ranging from small complex remodels to detailed custom homes and large commercial projects. Builders are key to realizing our plans and your design intentions. As a LEED accredited professional, Andrew has a keen understanding of the region’s unique environment and consistently works to merge the community vernacular with current construction practices for sustainability. Andrew was raised in Northern California. He and his family have lived in Nevada County for over a decade. Strongly committed to family and community, Andrew is consistently involved with community non-profits. Andrew assisted with the volunteer effort to redesign Nevada City’s Calanan Park, an important downtown public space on Broad Street. 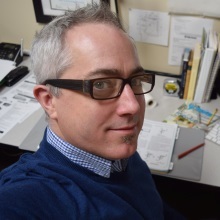 A licensed architect with twenty years of experience in design and project management, he is skilled in a broad range of programming, site planning, building design, project management, and construction administration. Past projects include education, health care, mixed use, senior living, community centers, transit, office / professional, recreational, residential, retail, and restaurants. 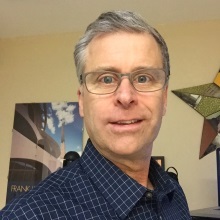 Andrew earned a BA in Industrial Arts from Humboldt State University in 1985. Richard is a fifth generation native of Nevada City, returning to live there with his own family in 1997. He is deeply involved in the community, coaching youth sports teams and local non-profits. This includes the Center for the Arts in Grass Valley, whose board he served for the past eight years, most recently as president. Since 2011, Richard has served as a trustee on the board of Nevada Joint Union High School District. Richard has been instrumental in the design and construction of a number of complex, highly public buildings. His knowledge and appreciation for the unique architecture of Nevada County adds special motivation to preservation and community-appropriate design/use. His projects include many buildings within the Historical District of Nevada City. Richard’s years of experience in construction is an asset to his design clients, as offers services as a construction project manager in addition to traditional contract administration. Richard earned a BA in Photography from UC Santa Cruz in 1989 and a Bachelors of Architecture with honors from Pratt Institute in Brooklyn NY in 1998. Jeff and his family have enjoyed a Nevada City lifestyle since 1989. Jeff brings to Siteline a thorough hands-on knowledge of construction materials, practices and methods gleaned from almost twenty years as a Licensed Contractor and Journeyman Carpenter. Structural planning of Siteline’s designs, management of Construction Document production and Building Code compliance are his specialties. Jeff earned his Bachelor of Arts from Westmont College in Santa Barbara. 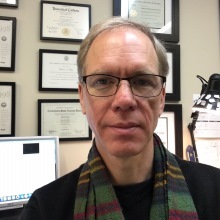 Dennis has over 32 years experience in architecture including 22 years of project management level experience and 5 years experience in structural engineering, including worship, civic, residential, commercial, office/professional, and retail. 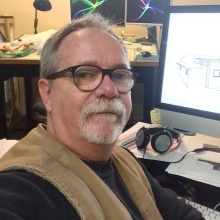 Dennis has an extensive background in architectural illustration and construction technology. Dennis is responsible for production/presentation drawings, consultant/agency contact and coordination. Christopher is Nevada County native. He and his wife reside in Grass Valley. Christopher comes to Siteline Architecture with 12 years of architectural experience as a draftsman, construction administrator, project manager, 3D modeler. He became a licensed architect in 2013. 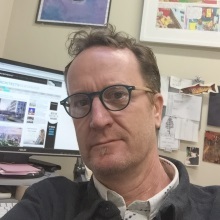 Christopher received his Bachelor of Architecture with a minor in Sustainable Design from Cal Poly San Luis Obispo in 2004 after receiving his Associate degree in Arts and Humanities from Sacramento City College in 1996. He spent a semester abroad at the Architecture Studio of Professor Mme. Odile Decq in Paris, which influenced his perceptions for human scale urban design. David started out in the architecture and engineering field in 1992, working his way up from Drafter to Job Captain. He held jobs in Iowa, New York, and the Bay Area before moving to Nevada City in 2015. 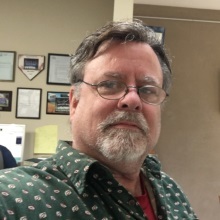 David has worked on many types of projects, including single- and multi-family residential, commercial, education, hospitality, and transportation. He has experience in every phase of a project’s development, from Schematic Design, to Construction Documents, to Construction Administration. Besides architecture, David’s interests include art, music, and literature.